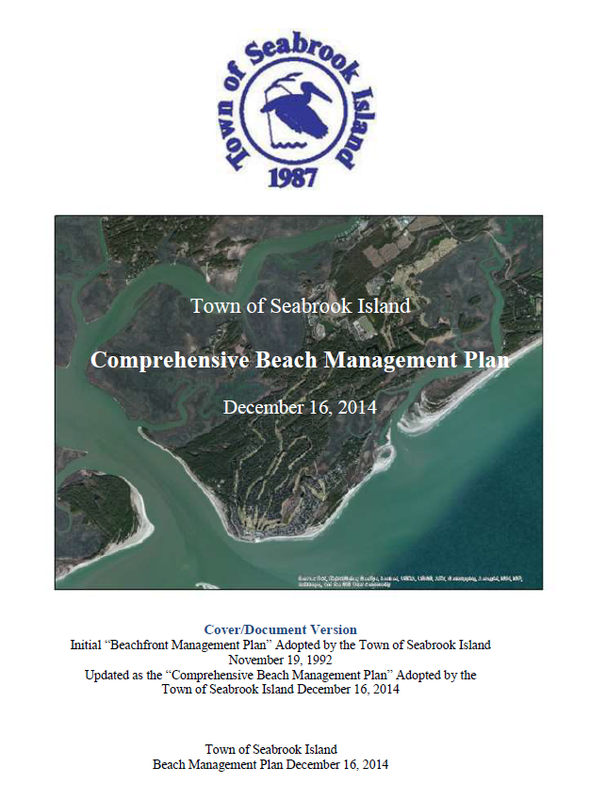 The Town of Seabrook Island's Comprehensive Beach Management Plan was first adopted in November 1992, and was most recently updated in December 2014. The preparation and updating of the town's plan was a joint effort between the Town of Seabrook Island, the Seabrook Island Property Owners Association, the Seabrook Island Club and the St. Christopher Camp and Conference Center. ​The town's current Comprehensive Beach Management Plan was adopted by ordinance of Seabrook Island Town Council on December 16, 2014. The plan was subsequently submitted to the South Carolina Department of Health and Environmental Control (SCDHEC) for review and approval. Upon approval by SCDHEC, the town's plan become a part of the State Beachfront Management Plan. State law requires that the town's plan be updated no less than every five years in coordination with SCDHEC. Accordingly, the Town of Seabrook Island is scheduled to complete an update to its plan no later than the fourth quarter of 2019.
a detailed strategy for achieving the goals of preservation of existing public access and the enhancement of public access to assure full enjoyment of the beach by all residents of the state. By law, the town's comprehensive beach management plan must be updated no less than every five years in coordination with SCDHEC.